Failure to List a Creditor on Bankruptcy - Will It Be Discharged? Filing for bankruptcy is a complicated process and requires precision in filing. It is extremely important to list all known debts on the appropriate schedules accompanying your Chapter 7 or Chapter 13 filing. Your creditors have a legal right to know about the proceeding and to participate or object with regards to their claim. Your best bet is always to hire an experienced, detail-oriented California bankruptcy attorney to avoid mistakes that can be made. If your filing omits a creditor, what are the consequences? What happens to the creditor’s claim? Read on to learn more about the repercussions in failure to list a creditor on your bankruptcy petition. Depending on how far into the proceedings you are before realizing you left out a creditor, you may be able to amend the petition to add a previously omitted creditor. You simply refile the schedule that contains the corrected list of creditors. As long as the case is open, amending the petition is an option, although if the proceedings have gone too far it may not solve the problem. It is essential to amend the petition as early as possible. If you do not get notice to the omitted creditor in time for them to challenge the discharge of your debt, then the debt will likely survive the discharge in an asset case. Moreover, it is important that you give actual notice to the creditor in time to challenge the discharge. The Bankruptcy clerk’s office will send notice to creditors at the beginning of the case but may not send additional notices beyond that, so a creditor left off the initial list may not hear from the court directly. If you amend your petition, you or your attorney should mail a copy of the court papers to the added creditor and file a certificate of service with the court that demonstrates that you gave notice to the previously omitted creditor. The law makes it easier to deal with the problem of an omitted creditor in a Chapter 7 no-asset bankruptcy case. Per the law established in Federal Ninth Circuit cases, an unlisted debt in a no asset Chapter 7 case is dischargeable regardless of the creditor and the debt not being listed in a Debtor’s bankruptcy petition. No-asset cases are those in which there are little or no assets to sell to pay off creditors. Unfortunately, if a creditor is not given timely notice in a Chapter 13 case or Chapter 7 asset case (where assets would be distributed to creditors) to object to their claim treatment, dischargeability, or opportunity to receive distribution proceeds, then their claim will typically survive the discharge. 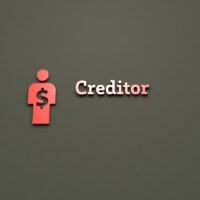 This means the creditor can later bring a claim against the debtor for the creditor’s debt. Consult with your attorney to determine the possible options in dealing with an omitted creditor. In the worst case scenario, if your case is already closed and your debt discharged, you cannot retroactively amend your petition. At that point, the debt to an omitted creditor is still owed in an asset case. And due to the time restrictions on refiling for bankruptcy, you would not be able to simply refile to discharge the forgotten debt. If you’re struggling with debt and considering bankruptcy, please contact Rounds & Sutter for a free confidential consultation. With offices in Ventura, Santa Barbara and Westlake Village, we represent clients throughout Southern California, offering smart, compassionate legal counsel in the face of life’s challenges.